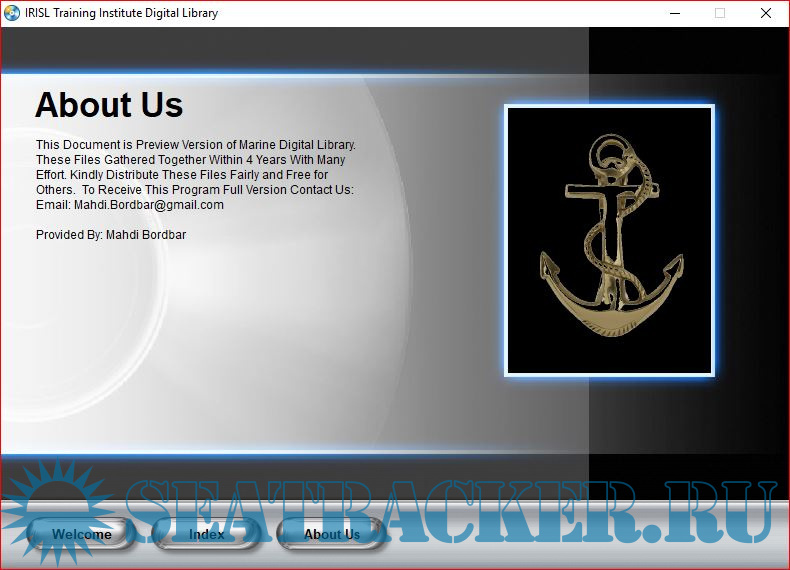 Description: IRISL Digital Library containing many useful books in one single package. gillnumil, Are you sure that it is PDF format if your file name CargoWork.exe ? If it PDF scanned book - it should be with extension .pdf , but not as .exe. Arcan, The package is in exe format but inside all pdf books are there. The package does not install anything on the computer, it only facilitates opening of the package where all books are stored together. gillnumil, ok, up to admin's decision. zxc, understood. will comply henceforth. @phamhahh, Thank you for showing interest. File requires Reputation Limit 2. Kindly refer https://seatracker.ru/viewtopic.php?t=1573. Please do not pm for books. Increase ur reputation and u can enjoy all downloads. 4.6 Create and post for download release in the cumulative files, without prior approval from the relevant moderator, namely:- the archive (RAR, ZIP, ...) is prohibited in all categories of the tracker,- in the disk image (ISO, MDF, NRG, ...) is prohibited for books, allowed for software." "Exe" file here is the same cumulative file. That is why it has been remained for admin's approval. Dear sir, may thanks for your information, but something is not in English so I could not understand. phamhahh, please select/highlight the text and use translate to English. That should solve it. @qazi.faisal, Thank you for pm regarding my post. The files are very large in size not possible to send them on email. Moreover it would defeat the purpose of this site. Reputation is a way to coax people into sharing and seeding instead of only being leechers. Kindly increase ur reputation to download books. Reputation is very easy to build. That way you can access all the available downloads. Follow this link on how to increase reputation https://seatracker.ru/viewtopic.php?t=23158. While try to open error showing as 'Parameter is incorrect' , what shall I do? Tango Juliet, I checked it on Win 10. It seems to work fine for me. 1) Download the file fresh again. 2) Upon completion, Right click on it and Run as Administrator. Thats it. It should open now. Click on Index and choose the file required. Also can try and transfer it to a pen drive and try running it on some other laptop or desktop. gillnumil, I tried to Run As Administrator , but still problem exist. Tried on another PC with Windows 7 , and shows the same. I will download the files again and will try again. Tango Juliet, It works fine for me and till now nobody has had problem with this file. I have also tried on other PC. Please also try restarting the PC.